As long or as short as you choose. 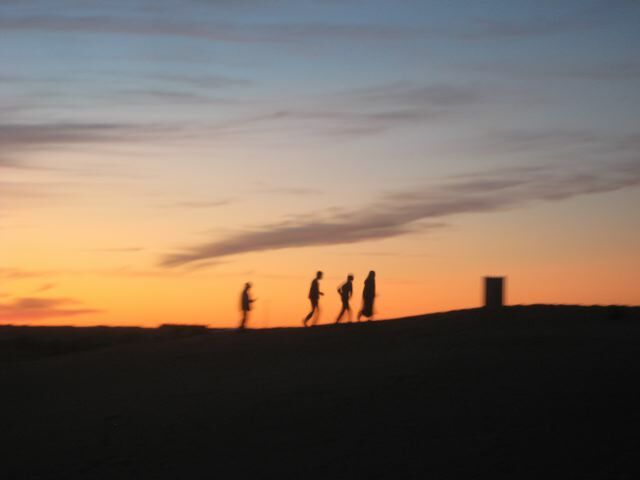 If possible, make the effort to climb one of the higher dunes for a 360° panorama of the area. Cooler temps combined with the sublime light of dawn and dusk mean that early morning or late afternoon are ideal. 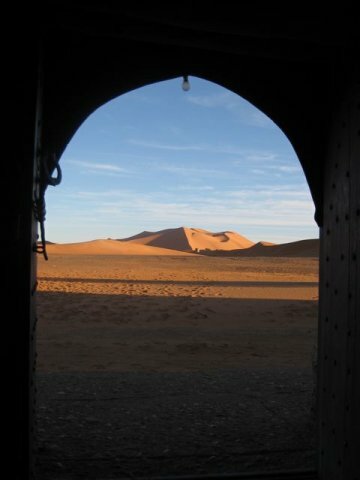 Erg Chebbi is situated right on the doorstep of Merzouga. Regular minibuses and communal taxis service the village. All year round. That being said, summer in the Sahara desert can be a tad warmish. 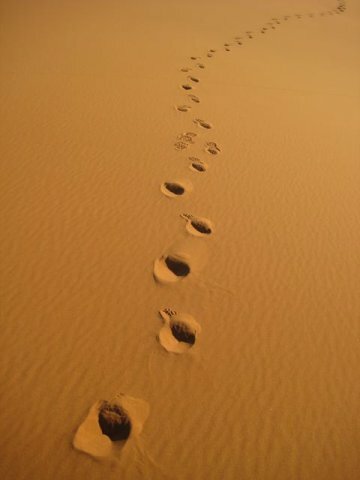 Erg translates to ‘ocean of sand’. We’re talking sand dunes. Big ones. No maps necessary. The dunes are situated immediately east of the village. Merzouga is touristy. 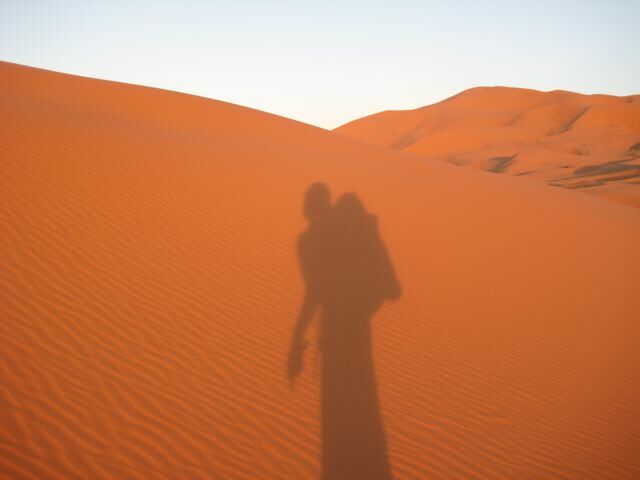 Upon arrival you will mostly likely be in inundated with offers to join group camel treks and desert excursions. That being said, if you can resist the hard sell, there is nothing to stop you from heading out into the desert on your own. Be sure to take enough warm clothes and water. Try to catch the sunset from one of the higher dunes. No shade or water. Come prepared. 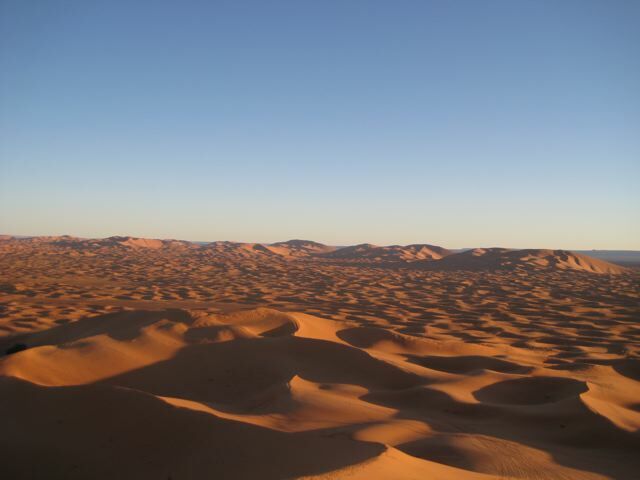 Bring all supplies and water from Merzouga. Nights can be cold. If you are camping out, bring along a sleeping bag and a mat for insulation. 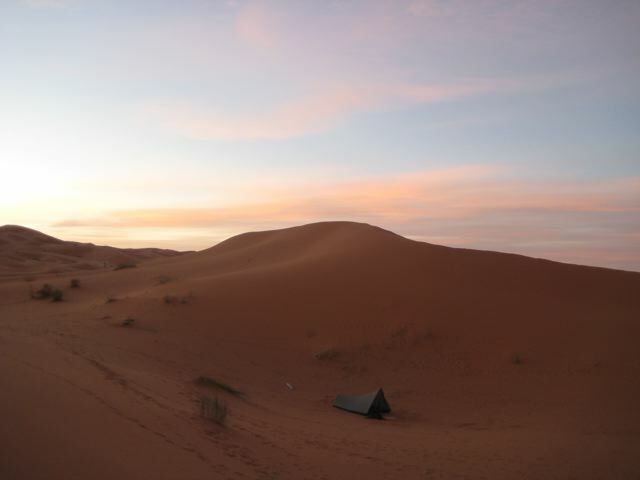 Morocco has two primary sand dune options – Erg Chebbi and Erg Chigaga. Both are spectacular. The former is easier to access and more touristy. The latter requires greater effort to get there, but definitely has a remoter feel. If you have the time visit both. If I had to choose, I would recommend Erg Chigaga. Follow "The Hiking Life" and receive notification of new posts to your inbox. REI Outlet: Great deals on late season closeouts! Backcountry.com: Save up to 60% off Select Styles from Your Favorite Brands. Patagonia.com: Save 30-50% past seasons products with Patagonia Web Specials + free shipping over $75! Moosejaw.com: Sale! Up to 50% off Moosejaw Outerwear. Rei.com: Official REI Coupons and Rebates page. Why Choose a Quilt over a Sleeping Bag?